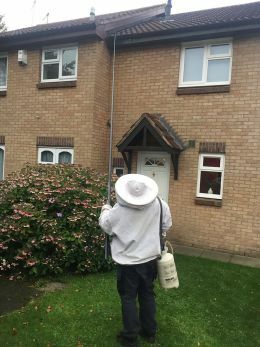 Nottingham pest control service provided at all times covering all aspects of pest control to help you maintain a pest free environment for you and your family. Competitively priced pest control services working in both domestic and commercial premises. Falcon Pest Services offer a free survey and a fixed, no obligation price, before any work is carried out. We are employed by letting agents, housing associations, private landlords and local authorities to control infestations and protect against damage caused by pests such as rats, mice, pigeons and insects. Professional control of rats, mice, squirrels and moles using the most effective techniques. 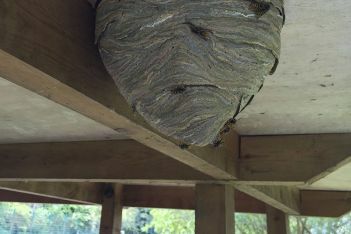 In a warmer, wetter climate we're seeing an increase in the number of calls about insect infestation. It's nothing to be embarrassed about - it's a fact of life, insects want to get into your home and scavange for food, creating chaos and destruction as they go. For effective control of insect infestations and removal of ants, wasps, fleas, bed bugs, cockroaches, flies and beetles call the experts: +44 (0)1773 761254. Effective control of pigeons and other feathered invaders! Pigeon control methods for businesses involved in food handling / preparation and domestic pigeon control.